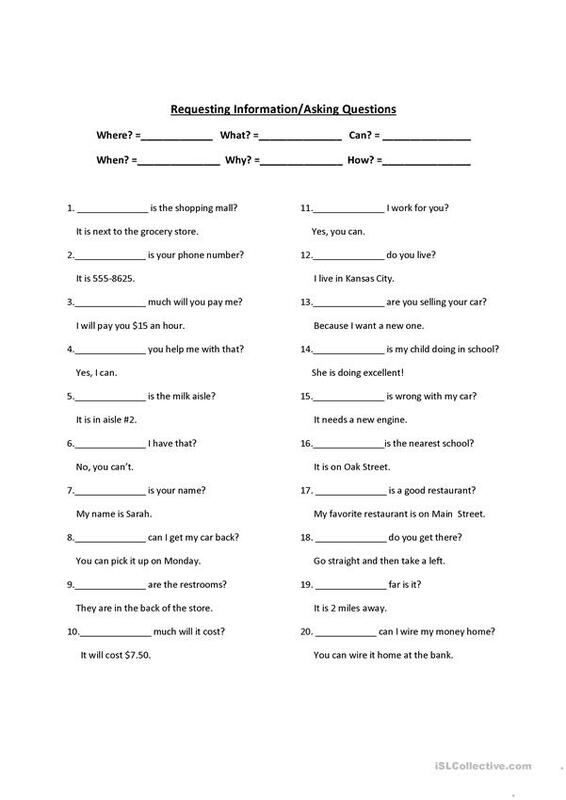 Fill in the blanks using question words in order to request some information. This downloadable handout was created for business/professional students, high school students and adults at Beginner (pre-A1), Pre-intermediate (A2) and Intermediate (B1) level. It is great for practising Questions in English. I am an ELL teacher in Kansas. I work with elementary students as well as teach an English group for their parents.